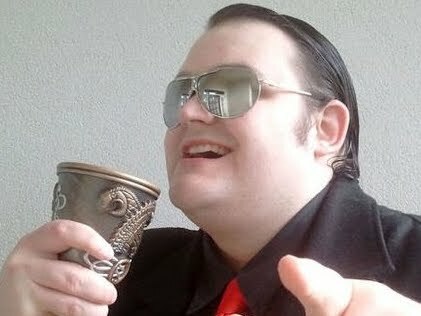 Deadly Premonition Game of the Year Edition announced! Destructoid is honored and thrilled to exclusively announce Deadly Premonition: Game of the Year Edition. 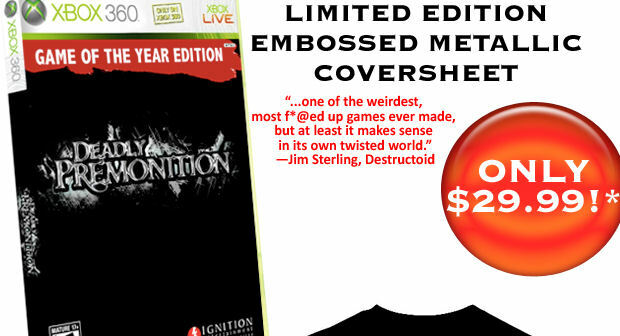 Based on the amazing cult success of this incredibly unique budget title, Ignition is releasing a stupendous special edition package that still manages to cost less than your average retail game. For $29.99, this limited version comes with a an embossed metallic cover, a "Team Zach" T-shirt and a brilliant travel-size coffee maker set (with bonus "FK"). Even more awesome is the fact that Destructoid is quoted on the back of the box. For less than thirty bucks, it's a guaranteed winner. Deadly Premonition: Game of the Year Edition is slated for release later this year. We'll have more word on it in the near future.